A quick guide to pch symbols in R, including: which symbols are available, how to use them in plots and how to style them by changing colours, size, and line widths. A handy reference for pch! pch ("plotting character") is the graphical parameter for drawing symbols on plots in R. For example, pch=0 would plot the points as squares. There are 26 default symbols which are compatible across all systems and devices. 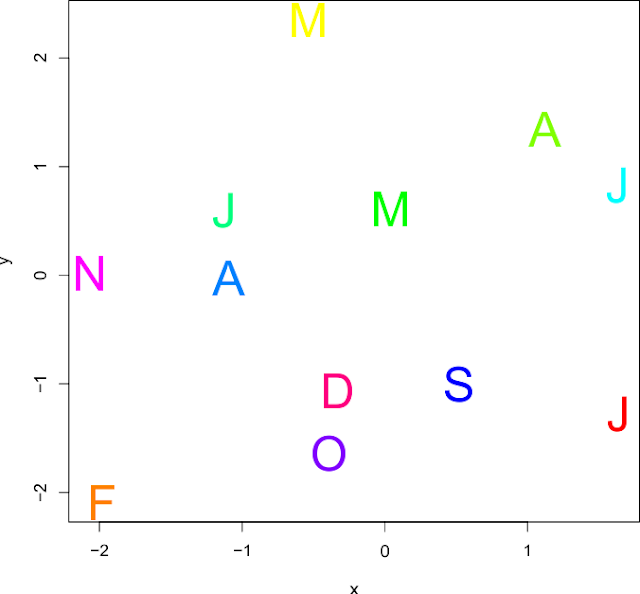 R pch symbols List of the default pch symbols in R, and what they look like when plotted. https://www.benjaminbell.co.uk 0 1 2 3 4 5 6 7 8 9 10 11 12 13 14 15 16 17 18 19 20 21 22 23 24 25 Can't see the image? You need to upgrade your browser. Symbols 15 to 18 are "solid" symbols. These have no border so you cannot adjust the line width, but you can still change the size cex= and the colour col=. Symbols 21 to 25 are "filled" symbols, so as well as being able to change the line width lwd=, size cex= and line colour col=, you can also change the background colour bg=, making these symbols the most versatile. In addition to the default symbols, you can also plot ASCII characters using pch=32:126. You can change the colour col= and size cex= of the ASCII character symbols. "Native" symbols, which may be specific to the OS you are using, or your locale (e.g. language/keyboard settings), can be accessed using pch=128:255. You can also specify a character as the symbol (instead of using numbers). For example, if you wanted your plot points to be represented by the letter a, you could use pch="a". This is case sensitive, so "a" is different to "A". If you can't see this image, you need to upgrade your browser. Thanks for reading this guide! Please leave any comments or questions below.